After much thought I have decided to put Whiskey up for sale. I am trying to as honest as possible to find the best match for my boy. 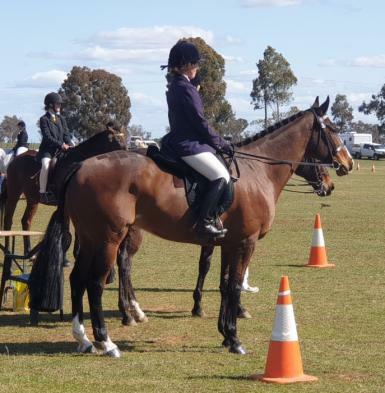 I have owned Whiskey for a bit over a year during that time we have competed mostly in eventing as well as dressage and show jumping days, riding club, hacking and even an endurance training day. Never raced, registered name Pius Salute. 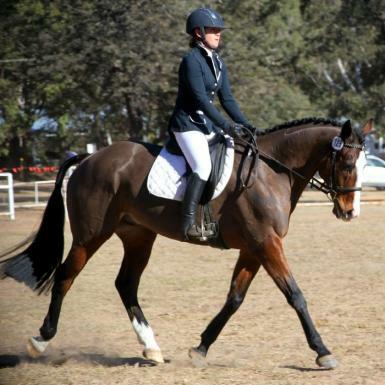 He is a nice mover, and hack and dressage judges have often commented what a good looking horse he is. 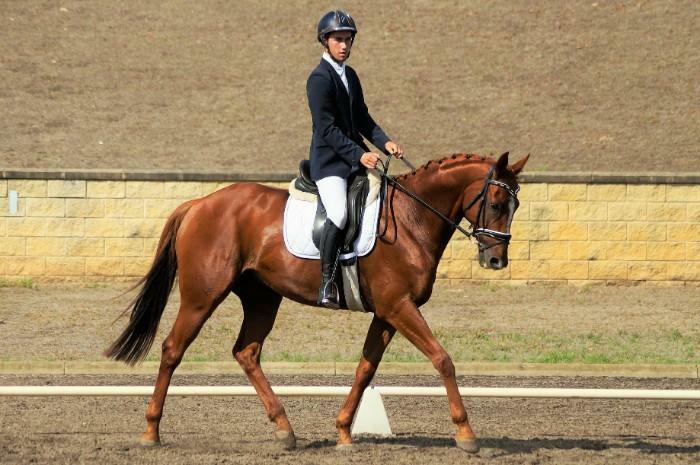 He has been competing in prep and prelim tests with scores up to 67%. 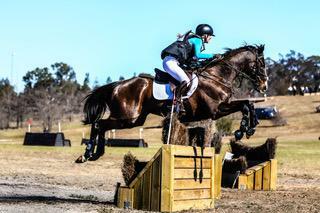 I have jumped him easily to 70cm at home but have kept him at lower levels while out as he is prone to being very strong while jumping. 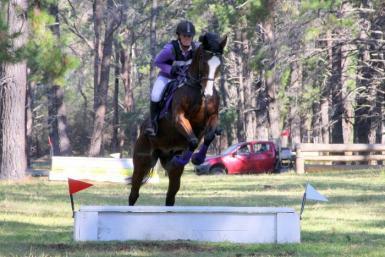 He is bold and fast xc, I have never had a refusal. 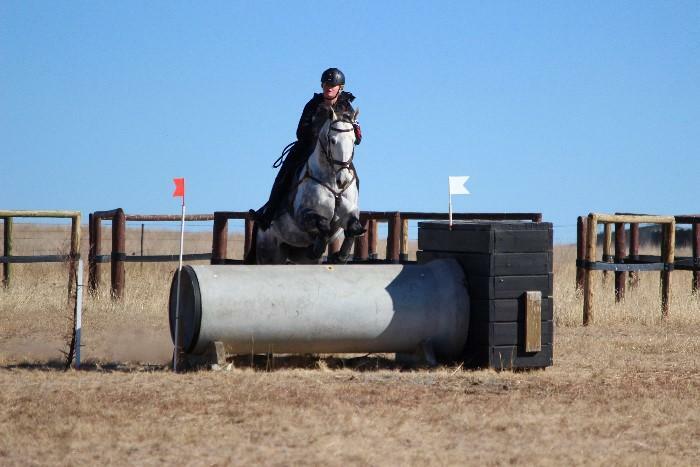 Recently went clear and on time at Quirindi ODE in the xc phase, but again, he does get very strong. 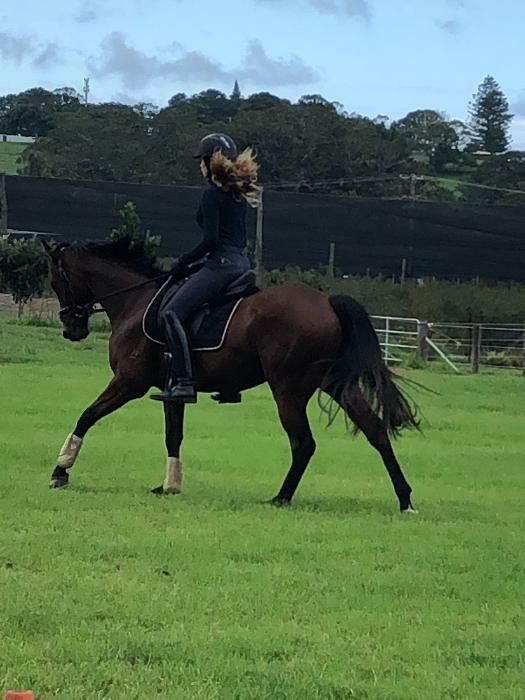 For these reasons I feel he would be suited to the following riders: - A Dressage/show home where he can just work on the flat. 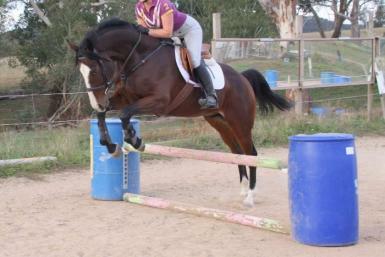 He is a big moving horse and I think he could do well as a dressage horse. 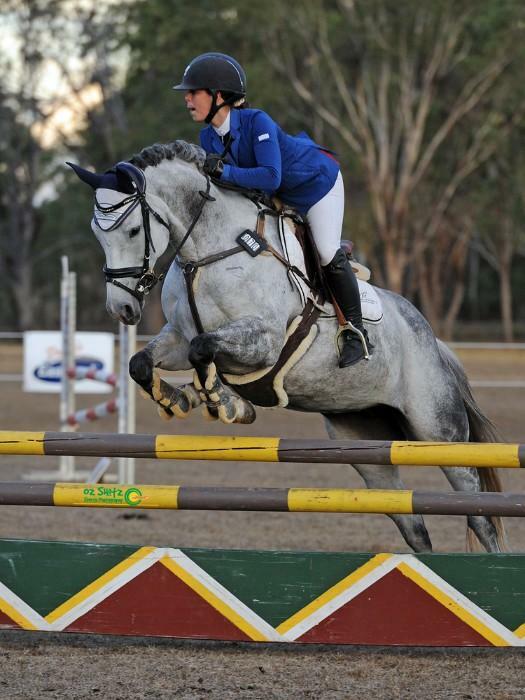 - An experienced eventer who is willing to work on his jumping. He is showing good shape and the scope to go higher but needs a lot of work to settle in a consistent rhythm and not get too forward. - No beginners. Good to c/s/f. I have had shoes on him once before when riding out on a trail over rough ground but otherwise he has always been barefoot. 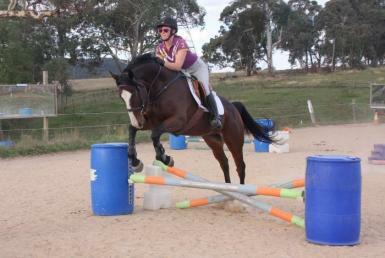 UTD with tetnus/strangles and worming. He is a windsucker. $1000, very negotiable to the right home. Home more important than money.